The company setup section on your iPhone will now allow you to completely connect HouseCall Pro to your bank account. 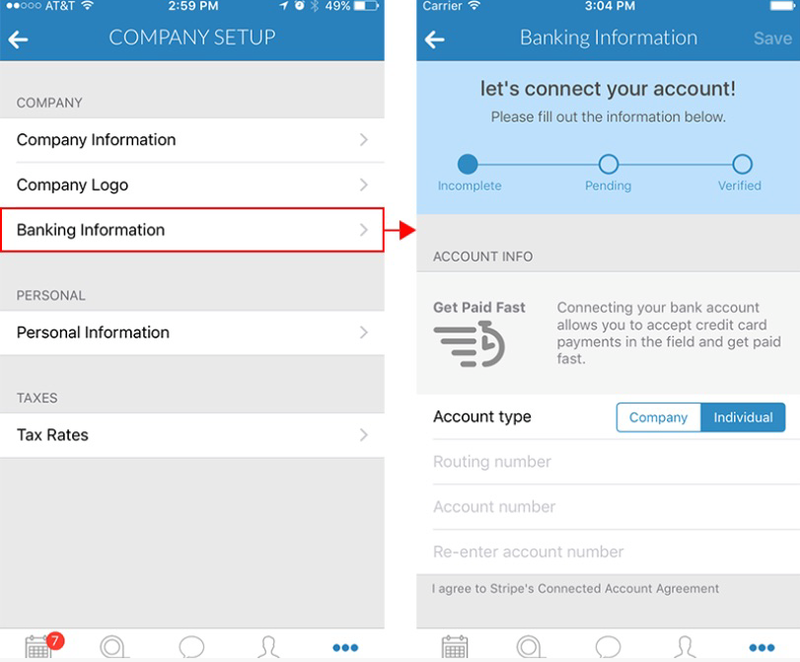 To connect to your bank account, click on the 'Banking Information' tab in the 'Company Setup' menu of the app and follow the on-screen instructions. You will be able to see a progress bar indicating verified account connections. The new company setup section will also allow you to set multiple tax rates and upload your company logo directly from your phone!